Join our Circle on Google+ and Win an iPad Air! Feeling lucky? 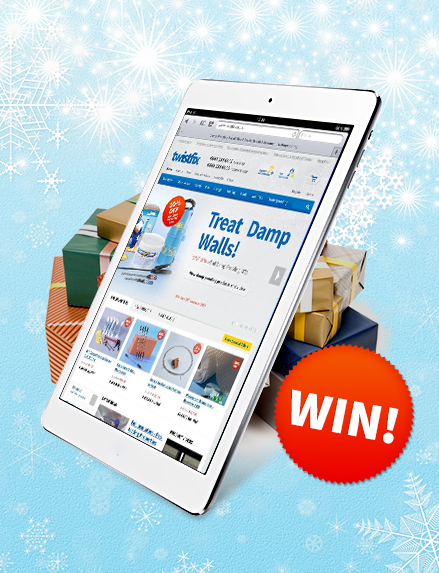 Then why not enter our fantastic Christmas competition to win the brand new iPad Air? You have until 31st December 2013 to take part in the competition and entering couldn't be easier - simply join our circle on Google+ and you will be in with a chance. Google+ is, after Facebook, the second-largest social networking site in use around the world. Around 300 million users regularly access the site and interact with other users while over 500 million use the website's secondary features such as Gmail linking and comments on YouTube. Google+ can also be accessed from a mobile app which, during April/June this year, was installed on 30% of smartphones; this figure made Google+ the fourth most popular mobile app in the world. Collectively, users of Google+ upload millions of photographs every day and a staggering amount of information is shared between the infinite array of connections. Joining our Google+ circle takes just a single click. From then, you will be able to follow the latest developments here at Twistfix as well as being the first to hear about our latest special offers and new products. Our competition is the cherry on the cake! The iPad Air is the 5th generation of the tablet and was released at the beginning of November this year. Utilising the brand new iOS7, the tablet is incredibly powerful and it's volume has been dramatically decreased in relation to its predecessor, featuring a 22% weight reduction. The camera has also been greatly improved and is now capable of producing stunning videos in 720p HD as well as featuring impressive face detection and backlit illumination. As the iPad air is made from 100% recyclable materials and contains no PVC or BFRs, it is one of the greenest electronic devices available today. We look forward to the new connections Google+ will bring to Twistfix. As expert suppliers of a comprehensive selection of damp proofing, basement waterproofing, mould removal, spray foam insulation and masonry crack stitching solutions. We will continue to provide all of our customers with goods of superlative quality at the most competitive prices. For more information about our exciting competition, please call 0845 123 6006 or email us at sales@twistfix.co.uk.